The world has gotten smaller. There are scarcely any constraints left to confine our businesses. When looking at Life Science organizations, specifically those who strive to achieve cGMP compliance, many still tend to think within their four walls. They concern themselves with their processes and quality management, yet fail to consider the organizations that affect them without. Over the past few years, Quality Management and Compliance Management practices have sought to create a truly harmonized system. The idea of harmonization involves creating a standard process for all Quality and Compliance, regardless of the location and operational area. The concept has grown in interest since many organizations have trouble seeing their data if the processes, such as Corrective and Preventive Action (CAPA), are disjointed from one area to the next. As a result, one CAPA governs all areas within the organization – a common process for all. This idea of “being common” has become a valuable tool in corporate Quality within organizations today. Many companies have taken this a step further and adopted technology to help drive this commonality – creating multi-tiers of functionality into their Quality Processes, so that the site-level process can remain “unique” while adhering to the corporate harmonized process. Why harmonize, you ask? Harmonization gives you a single picture of the system; a common thread to measure Quality and Compliance from throughout the entire organization. This is what corporate needs to make better decisions, ensure Quality and Compliance are met throughout the organization, and continue to drive operational excellence. But, we’re missing a component here. As I said, the world is smaller, and we no longer can operate within any four walls. 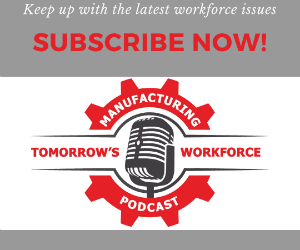 Many organizations are extending manufacturing throughout their supply chains, involving contract manufacturers, preferred vendors and a full host of suppliers within the product lifecycle. If we want to standardize and harmonize our Quality Systems, we should start by harmonizing and standardizing our supply chains! Visibility: Having a contract manufacturer work in your QMS provides you with the real-time visibility into their own Quality operations. With this level of visibility, you can maintain control over the state of Quality outside of your four walls. Real-time collaboration Cuts Cycle Time: If there is a defect or noncompliance, then collaboration can help resolve the issue much more quickly. When working in current, disparate systems, you do not have "lag time" while the supplier works on their end to resolve the issue - Quality and compliance events now become a collaborative effort, with all working toward the same goal and cutting the overall cycle time. Compliance Right, First Time: Certainly, the time taken to resolve any of these supplier quality events causes a loss in time, and the time taken to re-work and re-produce becomes a factor against demand. With clear visibility and control in the contract manufacturer’s process, you can now help to get the product right the first time, reducing the time to market. Technology helps to Create a Secure Platform: Of course the first concern is, "no way are they getting into my data." Technology has caught up with this - you can place security on every aspect of the software - fields, keywords, etc. - so that external enterprises only see the content that is relevant to them. You still control your data; they are now just able to operate in your environment - unable to see anything but their required information. Technology is Still Leading Edge: Not many software solutions offer this level of security, so it's not been widely accepted as a practice. But there are a few vendors in this area leading the charge on this multi-tier security concept. Knowing "Too Much:" Sometimes, ignorance is bliss - even in this world we live in today. Some companies do not want this level of visibility and/or control. This may be due to liability issues, this may be due to "plausible deniability," or it could just be that they don't have the bandwidth to engage the contract manufacturers at this level. But think of this - if there is a serious event related to your product as a brand owner, who is liable for the repercussions? The answer is the brand owner, not the contract manufacturer. So the pain of knowing too much may bite back at you in the long-run. The world is smaller, and more and more companies are collaborating on new levels. The key to success, especially in the regulated environment, is incorporating more layers of visibility into the various areas that help to make your products. This not only includes standardized compliance between divisions - it will mean standardization across enterprises.